ARI instruments, SP-AMS and a PAM, help Los Alamos National Labs learn more about the chemical properties of aerosols from fires | Aerodyne Research, Inc. 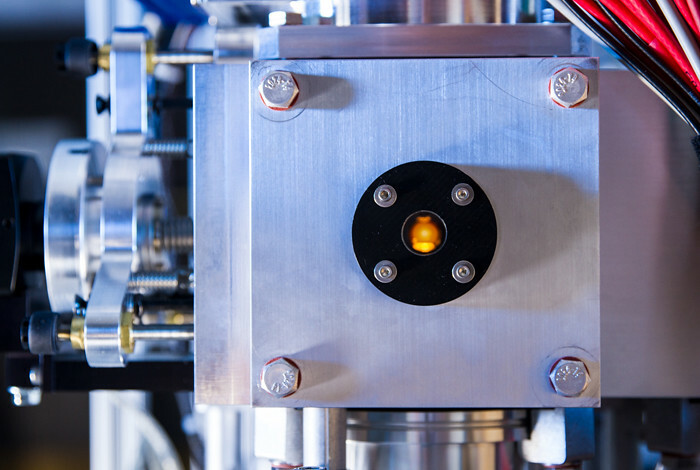 Spurred by acquiring a soot-particle time-of-flight aerosol mass spectrometer and a special reactor for mimicking the photochemistry the particles’ experience as they age in the atmospheres, Los Alamos is now integrating this analysis capability in the new Center for Aerosol Forensic Signatures, or CAFE. As wildfires burn across the West this summer, a thick haze has blanketed the region. Even for communities far from a burn site, the air has carried a thick haze, but what’s in it? Fires, explosions, and even natural storms over deserts emit large amounts of fine particles, less than a millionth of a meter, that are entrained in the smoke and hot-air plumes and they can rise and travel over large distances. These particles can threaten human health as they penetrate deeply into the lungs and can be trapped, causing discomfort and disease. The fine particles can also affect weather, and interestingly for scientists, the particles actually contain detailed chemical information about their sources and their potential toxicity. Los Alamos scientists have spent over a decade investigating airborne particle distribution and properties from fires in Alaska and Africa, pollution downwind of London, and smoke over India and throughout the Amazon. The resulting insights have been published in high-profile Nature-series journals. Spurred by acquiring a soot-particle time-of-flight aerosol mass spectrometer and a special reactor for mimicking the photochemistry the particles’ experience as they age in the atmospheres, Los Alamos is now integrating this analysis capability in the new Center for Aerosol Forensic Signatures, or CAFE. It strengthens Los Alamos’s already-world-class “Science of Signatures” capability, as the CAFE team now can study the chemical properties of aerosols defined by size and with great chemical detail. The laboratory can also mimic the changes caused by exposure to photochemical processes over days, such as with the wildfire smoke plumes traveling from across the U.S. Northwest states. “Our CAFE will be a powerful new resource for explosion, combustion, and nonproliferation forensics,” Dubey noted.